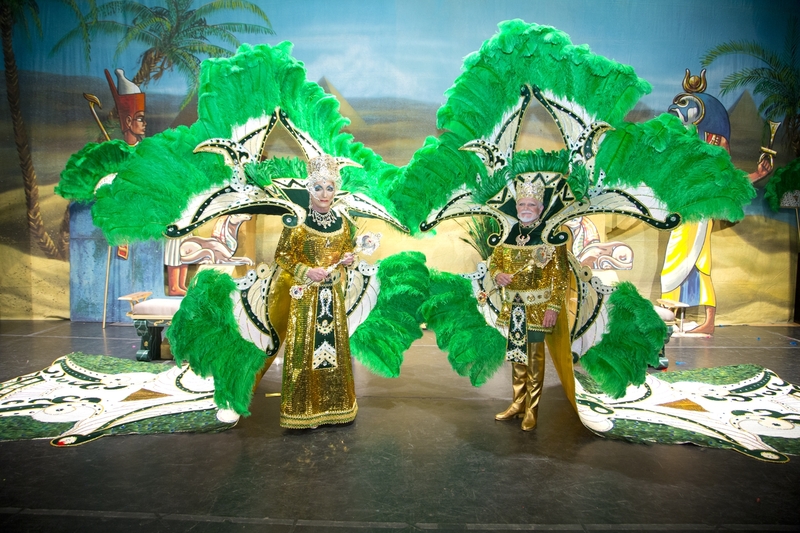 When you think of Carnival and its big, glittery finale, Mardi Gras, you probably think of parades, balconies, and beads. That’s the sort of thing that gets shown in movies and television specials and news reports, so you could be excused for thinking that that’s what all the hoopla is about. Those spectacles, however, are just the public face of Carnival. 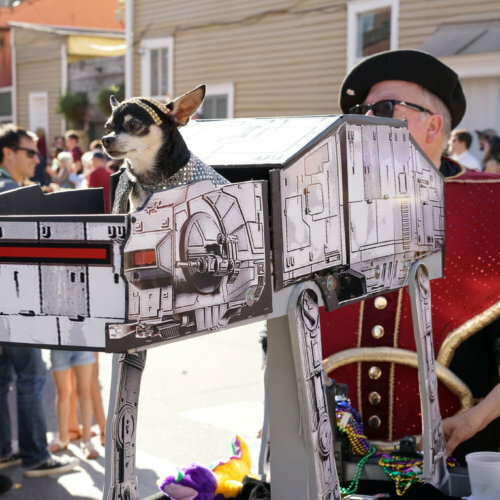 In New Orleans, Carnival is really about krewes — social clubs that organize and fund the big parades, carry out community projects throughout the year, and celebrate the season with a decadent ball. Like any social club, be it a fraternity, sorority, or business association, each krewe has a unique character, and the balls are a reflection of that. 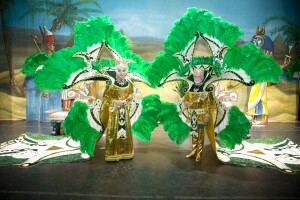 The Krewe of Rex, for example, hosts a ball on Fat Tuesday night that helps bring Carnival to an end. It’s more of a presentation than a conventional ball, and it’s hugely formal, with both participants and audience members decked out in tuxedos, gloves, and floor-length gowns. (The Rex ball is televised these days; you can watch the 2016 event here.) Others krewes host boozier affairs, with celebrity entertainers. Still others have costume balls, with dancing and carousing until the wee hours. 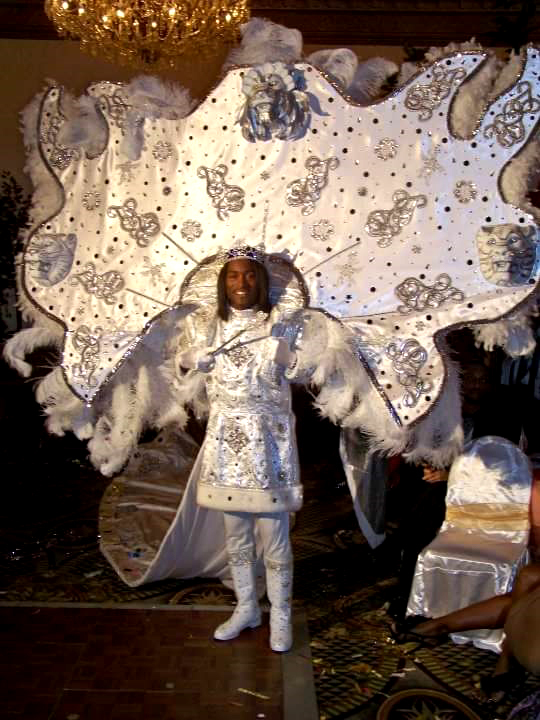 New Orleans’ LGBT community has a long and interesting relationship with Carnival. Throughout history, the holiday has been a time for upending traditions. In fact, until sumptuary laws were repealed, Fat Tuesday was the only day of the year in Louisiana when men were allowed to dress as women, and vice-versa. (Imagine LGBT culture without cross-dressing, even on Halloween. Drab, isn’t it?) It was also the only day of the year when gays and lesbians were allowed to socialize in groups, publicly or privately. As filmmaker Tim Wolff explains, the LGBT community saw that legal loophole as an opportunity to begin living more openly the other 364 days of the year, in defiance of unjust laws and social conventions. In 1958, Krewe of Yuga accomplished something that no other LGBT group in America had done: they’d managed to organize a social club and host a gay soirée. The first people to do so were a small, brave band of gay men who joined together in 1958, calling themselves the Krewe of Yuga. (Rumor has it that the name was chosen because the initials were a joking reference to KY Jelly.) Though not quite a full-fledged ball, krewe members sent out party invitations and assembled at a private house Uptown, and in doing so, accomplished something that no other LGBT group in America had done: they’d managed to organize a social club and host a gay soirée. While activist groups like the Mattachine Society and Daughters of Bilitis were meeting privately in living rooms, gays in New Orleans had socialized en masse. Yuga’s celebrations continued, and a couple of years later, another krewe debuted: the Krewe of Petronius held its own ball in 1961 at what was, during the daylight hours, a nursery school in the suburb of Metairie. The event went off without a hitch, but when Yuga mounted its ball at the same venue that year, someone placed a call to the cops. Attendees report that as the first costumed krewe members took to the stage, the lights at the Yuga ball dimmed once, twice, three times. Everyone knew what that meant: like many bars at the time that drew a largely gay and lesbian clientele, the ball was being raided. Panic erupted. People ran out of every door they could find. Some made it to their cars, some hailed cabs, some even hid in trees. However, 98 attendees were hauled to jail, their names published in the Times-Picayune the following day. Thankfully, they were charged with “disturbing the peace,” a far less damning charge than “crimes against nature,” which would’ve outed everyone in the bunch. Oddly, that was the end of the persecution. Since 1961, Wolff says that no other ball has been raided. Why? No one knows for sure, but many believe that the wives of New Orleans’ power players became attached to some of the krewes’ most visible members, including hairdressers and dressmakers. And those wives, in turn, convinced their husbands to turn down the heat. As Wolff explains in his documentary, Sons of Tennessee, gay krewes soon proliferated. By 1969, tickets to the balls were a hot commodity — even among straight revelers like the city’s mayor, who would ordinarily attend more traditional affairs. Today, krewes remain an important part of New Orleans’ LGBT culture. Though the AIDS crisis reduced membership by a staggering 50 percent over the 1980s and ’90s, the dedicated carried on. They threw themselves into building even bigger costumes and staging more elaborate productions. 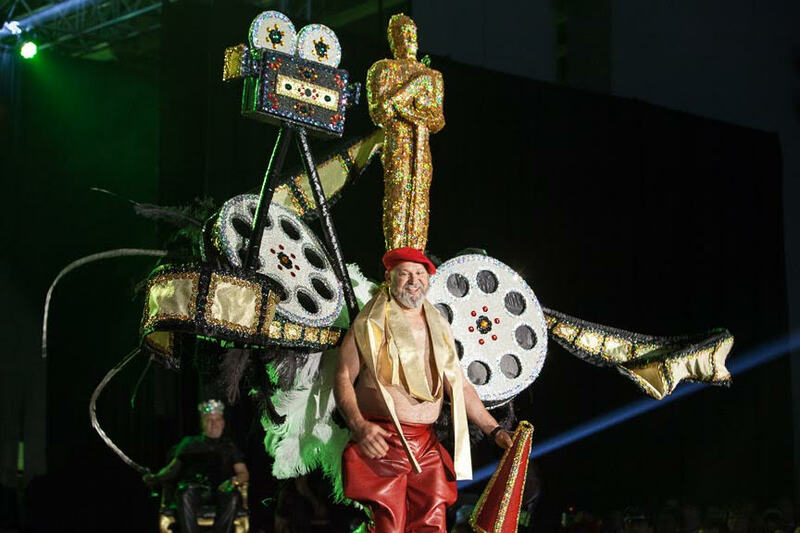 Their passion for celebrating history and tradition — and those we’ve lost — is why six krewes still host large balls to this day, and many smaller LGBT krewes put on other kinds of Carnival parties. You’ll find more information about each of the coming season’s balls below. 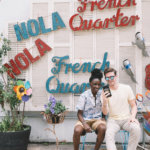 And if you’re not visiting during Carnival, you can still catch a glimpse of New Orleans’ unique LGBT culture in Wolff’s Sons of Tennessee, available on DVD and streaming on Amazon.